The French Riviera is located around the corner from Liguria, to reach it quickly, we offer boarding to Marina degli Aregai (IM) for shorter itineraries. A holiday on the French Riviera is not difficult considering the number of ports and sheltered bays. Perfect route for those who, in addition to love the wind and the wonderful landscapes, appreciates the services on the ground of the nice French villages. Marina degli Aregai is very close to the French Riviera and a short sail takes you through the French border. The first day we will sail toward Menton and Cap Ferrat, picturesque bays where you can spend some time relaxing having lunch and swimming in the clear water. We will sleep in the bay of Saint-Jean. The second day we will navigate to the beautiful islands of Lerins where we will anchor for swimming and to serve you lunch. In this picturesque bay is the most beautiful water on the French Riviera. The islands can be visited on foot and are inhabited by monks who produce good wine. We can stay overnight at anchor between the islands or in port in Cannes. On the third day we will spend the morning at the Lerins islands and after lunch we cruise to Villefranche, a beautiful bay that surrounds one of the most charming villages of the French Riviera. Overnight at anchor or in port. On the fourth day sailing to Cap Martin and Bordighera, more pleasant anchorages for lunch and a swim. The return to Marina degli Aregai is expected around 18:00. In this part of the coast, it is easy to find a good breeze for sailing, navigation is simple and is held along the coast, also perfect for those who have no experience of traveling under sail. 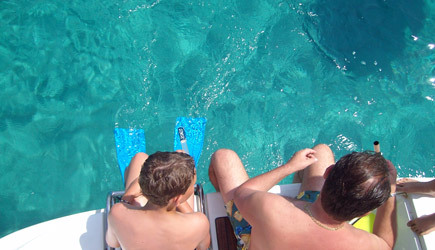 Is also ideal for families with children, there is always a port nearby if the weather gets worse. 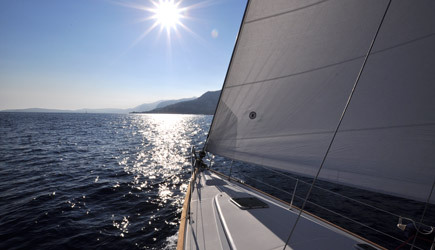 One week sailing holiday in the French Riviera is a beautiful, little challenging and suitable for all. These sites offer many services yachtsmen: pleasant bays where you can swim, a good breeze for sailing, ground services in the excellent French ports and a pleasant evening stroll in a village always different. For those who enjoy the nightlife there are many places to spend the evening. 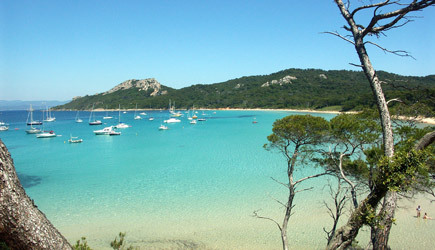 The first night (eg, between Sunday and Monday) we will sail to the islands of Porquerolles starting from Finale Ligure. Night navigation is a special experience, being all under-coast there is always the possibility of entering a port for any reason. In these islands you move only on foot or by bicycle, and a walk is really worth. We will have 2 days to explore the islands sailing between the pristine bays that offer. For the night we will move on land, at anchor or in port. The third day (Wednesday) we leave the Porquerolles islands to explore the picturesque coastline that leads to S.Tropez with its promontories. We will sleep in the Gulf of S.Tropez anchored in front of the homonymous town. 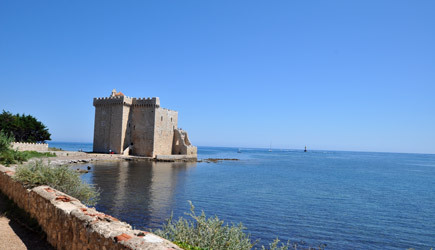 Thursday we cruise to the Lerins Islands, stopping in the bay of Agay for lunch and a swim. Reached the islands we stop for swimming and snorkeling in the beautiful waters that surround, or to visit the islands on foot. The smallest is inhabited by monks, they produce a good wine who sell in the monastery. 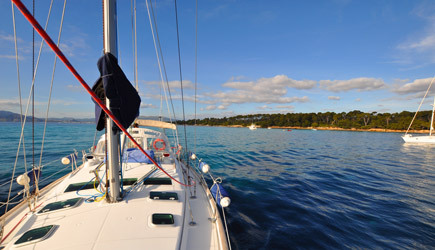 We can spend the night at anchor between the two islands or in port in Cannes. On the fifth day (Friday) we will spend the morning at the Lerins islands and after lunch we cruise to Villefranche, a beautiful bay that surrounds one of the most charming villages of the French Riviera. Overnight at anchor or in port. Saturday navigating to Cap Martin, and Bordighera, more pleasant anchorages for lunch and a swim. Night in the port of Imperia. Sunday return to Finale Ligure is expected at 12:00. This holiday is also suitable for families with children.